Plot - This light-hearted romantic comedy tells a story of a kind-hearted womanizer who forms a platonic relationship with a woman incapable of being faithful to her partner. Lainey is an unfaithful woman and she knows it well. Jake is a womanizer albeit a good hearted one. After having a one night stand years before, fate crosses their path once more and they eventually become best friends however they start developing feelings for each other and eventually get married. Peppered with funny scenes and comical dialogues, Sleeping with Other People is a side-splitting laugh riot. 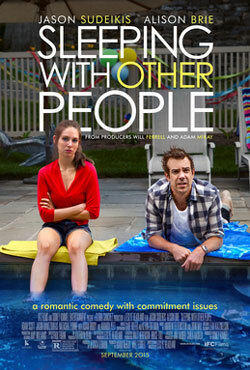 Awards & Nominations Won by "Sleeping with Other People Movie"
Box Office Earning of "Sleeping with Other People"